If you have not seen Season 5 episode 8 of Vikings – The Joke – I highly recommend you stop reading this, because Spoiler Alert is in effect. It seems that blowguns were used by many peoples in Northern Europe, mostly for hunting small game. Though in a sneak attack and ambush they could be very effective. Doubly so for an enemy who have completely let their guard down. From speaking with someone who is of Sami decent I have been informed that there were few to no large scale wars between ancient Viking and the Sami, instead it would have been small scale battles fought with guerrilla tactics against the vikings. Which is what we see here. Yes the Sami part of the battle is entirely dependent on Ivar wanting to try and flank his brothers, but that is the beauty of this entire battle, Ivar has lost in unpredictability, Bjorn predicted what he would do perfectly and defeated him. I digress, keeping the Sami for this reserved purpose was perfect for them, as they could kill many Vikings without taking a single a loss. Another interesting fact is apparently Ichaival the mythological bow of Odin is apparently a Sami bow, which speaks volumes of how the Sami choose to fight ranged warfare, which would be an effective counter against the Vikings close up and brutal combat. Not that vikings never fought ranged warfare just their fame seems to be for the shield wall not their ranged attacks. I guess we will be seeing more of this interesting culture as the series continues and hopefully their battle techniques will be further explained. 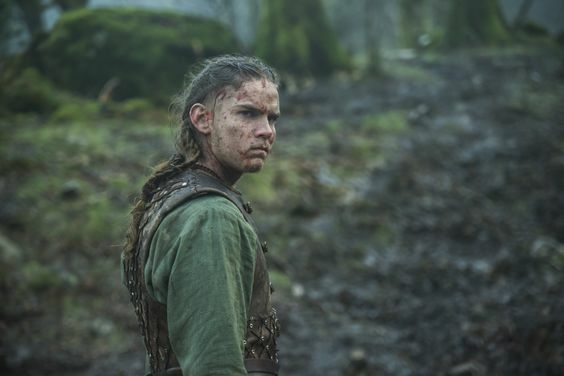 Vikings Season 5 – The Joke – What is Next For Ivar?